In the beginning, God created the heavens and the earth. Along with the earth, God created mankind. Ever since, mankind has been trying to figure out how God and creation fit together. For many thousands of years, most people thought that somehow, God and creation were intimately connected. You could learn about what God thought or felt by observing the weather, by succeeding or failing in business, or by being victorious in war. About 2000 years ago, a man began to question some of this. His name was Aristotle. He argued that a wiser course of action to learn about the gods was through reason and logic. He and his followers argued that if the gods made us, and if the gods love us, then the gods would have given to us the means by which we could figure out what they wanted from us. 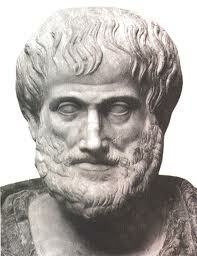 Not too long after Aristotle, Jesus lived and died, and His followers struggled with what to do with the teaching of Jesus and the teaching of Aristotle. In many ways, they seemed to agree. But in many other ways, they disagreed. Should the ideas of Aristotle, Plato, and philosophy be rejected outright, or was it okay to learn from philosophy only in the areas of agreement, or was it possible to find a way to reconcile Greek philosophy with the teaching of Jesus? It is just this debate which caused Tertullian, the founder of Western Theology, in the early third century to ask, “What has Athens to do with Jerusalem? Or the Academy with the Church?” He believed in a strict separation between the two, and that a study of philosophy would only damage the teachings of the church. 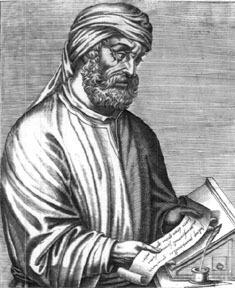 Ironically, Tertullian ended up using lots of philosophy to develop his theology, and eventually, philosophy and theology were so intermixed, it was nearly impossible to differentiate one from the other. This situation continued until the time of the Enlightenment when great scientific achievements were made. All of sudden, science was challenging some of the philosophical/theological teaching of the church, and once again, the church was faced with the question of what to do about it. If creation was from God, just as logic, reason, and wisdom were, could we not learn about God from creation, just as we did from logic, reason, and wisdom? 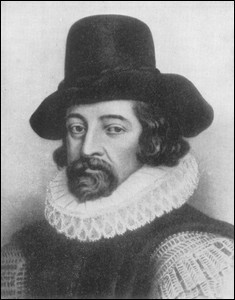 One scientist-theologian, Sir Francis Bacon, argued in 1605 that we could. 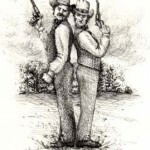 He developed what is known as the Dual Revelation Theory. This is the idea that all truth is God’s truth, but not all truth is found in Scripture. While Scripture is all true, there are truths found in creation that are not found in the Bible. The scientific method can help us discover these other truths about God that are in creation. Some of the early adopters of this Dual Revelation Theory include Isaac Newton, Galileo Galilei, and Johann Kepler. It was Galileo who initially tested the boundaries of the Dual Revelation Theory by proposing that, contrary to the teachings of the church, the earth revolved around the sun, rather than the sun revolving around the earth. Galileo was put on house arrest, where he eventually died. The church eventually accepted that what they thought the Bible taught was wrong, and that the discoveries of Galileo were right, and many within the church accepted the Dual Revelation Theory. But then Charles Darwin wrote about something called the Theory of Evolution, which challenged the long-held Christian belief that the world was created by God in six days, and the war between the dual revelations flared back up. Today, as in the time of Galileo, and as in the time of Tertullian, there are Christians on all sides of the spectrum. On the one side are those who believe that all claims to truth which are not founded on Scripture must be categorically rejected. On the other side are those who believe that science has pretty much proved the Bible to be inaccurate and full of mistakes, and is to be viewed just like any other historical document—a good book containing the ideas of slightly confused people from the past. In the middle is a whole spectrum of people who think that while the Bible is true, there are other truths also, and somehow the various sets of truths all come from God and can therefore be reconciled. What do you think? Can science and Scripture agree? What happens when they don’t? I’ll write more about this tomorrow, in my post Scripture vs. Science: Who Wins? Why must science and Scripture “agree”? They tend to each have their own perspective. Science is often “corrected” as new information becomes available. New understandings of Scripture have also emerged throughout the centuries. The Scriptural account of creation, in my opinion, while not incorrect, is not intended to be a “scientific” explanation, as we understand “scientific”. The idea is that God created, and that a process and time were involved. “Scientific” explanations of creation have changed with the passing of time, and continue to evolve. The church has accepted that what they once thought the Bible taught was wrong on more than one topic. Undoubtedly this will happen again. However, science, reason, logic and philosophy are inadequate in and of themselves to explain this man Jesus. Who is He? Did He really rise from the dead? If He did, what does that mean for us? There are questions those disciplines can not answer, and questions Scripture really does not address. Yes, they do have their own perspective,and probably speak to different “subject” but in areas where they overlap, they should not disagree if they are both from God. Great point about how both science and theology evolve over time. While I believe the word of God is 100% true (if it wasn’t, which parts would be true then? ), of course there are things the bible doesn’t talk about since the bible isn’t primarily a science book. Evolution is 100% against everything the bible declares. What do you think of people who hold to theistic evolution? Theistic evolution is the most horrible way for God to create! It’s cruel. Plus, it makes no sense. I forgot his name, but a Catholic Priest created the theistic evolution theory around 1890. They they also have the gap theory, which is just conjecture, like evolution! Neil A says you are an independant thinker. I like that. be blessed shalom. Say hello to Neil for me! I didn’t know you knew him. The reason the church was so dogmatic about a geocentric worldview is because they allowed science to affect their interpretation. The scientific beliefs of the time stated that the earth was the center of the universe, so the church began to interpret the scripture with this in mind. So when Galileo came along, he shook that up. But the reason was because people had incorrectly interpreted the Bible in an effort to link it with science. That is very interesting! Science led to bad theology, which then obstructed science trying to correct both science and theology. It still happens all the time today…. riddle historical bibliology,. what is the first mention of Messiah in the bible? Hint it is before Gen 3:15,.. theological revelation is progressive and becomes gradually articulated more clearly. It is helpful to begin at the beginning. Theistic evolution is ancient derived from that verse,.. and given exposition I.E APOTHESIS Gen 3:15 It is the LIE it is doctrine in E. orthodox Christianity, mormonism, new age etc. I’ve never even entertained the idea that there ISN’T truth in those other disciplines. I’ve always assumed that there is some. In some academic circles, Philosophy and Science are made into idols……..but properly understood, Christians can faithfully engage with them and embrace them.